The fact that we were able to do it without Derrick Rose and Joakim Noah makes me optimistic for the playoffs. I hope they can both come back soon (but not before they’re ready, please). Next year, the championship could very well be celebrated in Grant Park again. This year, probably not. But we have depth. We saw that yesterday. Speaking of beating the heat. I heard the drug dealer van ice cream man around the neighborhood today. In 40 something degree weather. I wonder if we’ll have a truck at the new place. I can only think of one time that I rooted for the Celtics, and that was because they finished dead last and then Kevin Garnett joined the team. I knew they had a chance to win the title, and I wanted to see the worst to first actually happen. Again, it gave me hope. 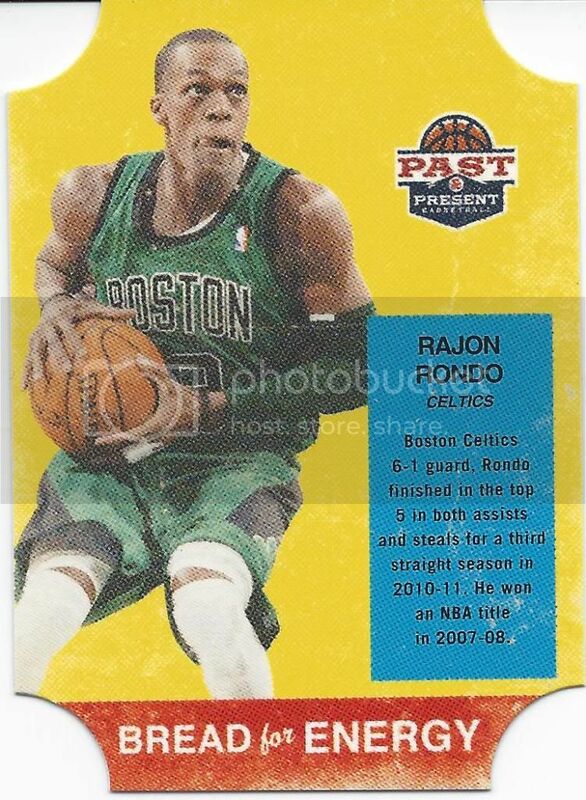 This Rondo Past & Present insert came courtesy of Mark of Mark’s Ephemera. He sent this and a Ray Allen my way “for free.” It turns out this is the only one I needed for my very slowly accumulated master set. I’ll repay him with some Kevin McHale cards once I’m able to access them (back in my hometown). I probably won’t be able to make that happen until it gets warmer, but I’m sure I’ll do it before summer so I, too, can beat the heat.